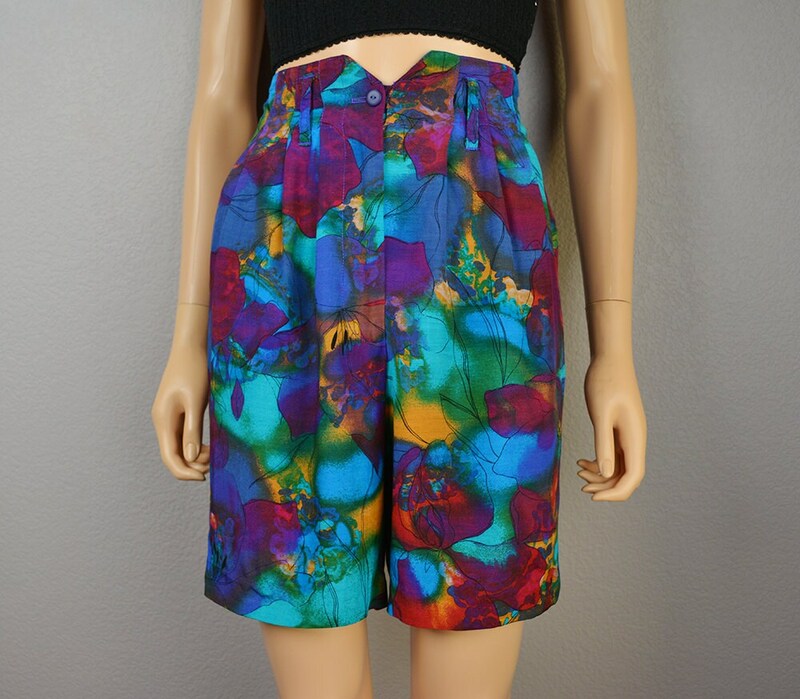 Must-have 80s watercolor print shorts. 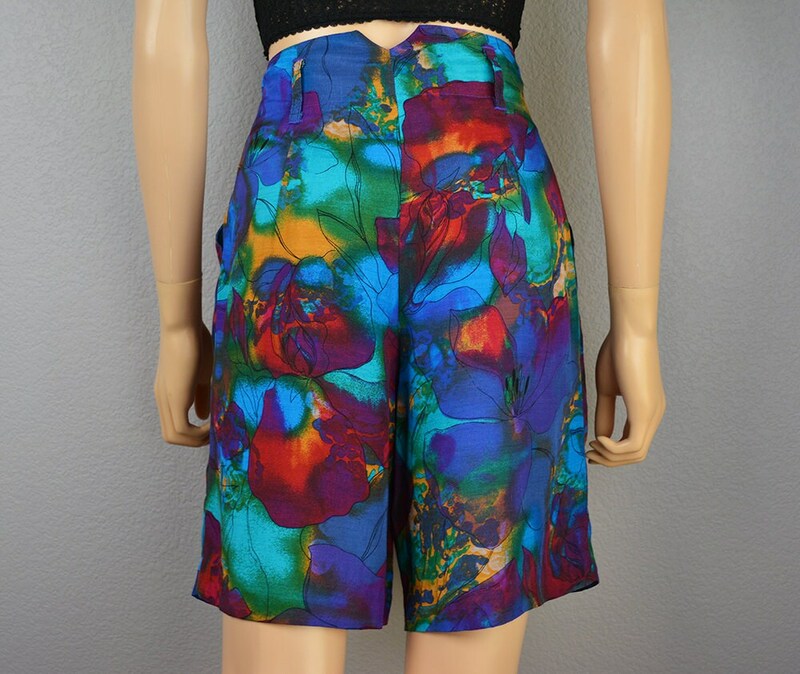 These are soft and comfy high waisted shorts made of floral print rayon. 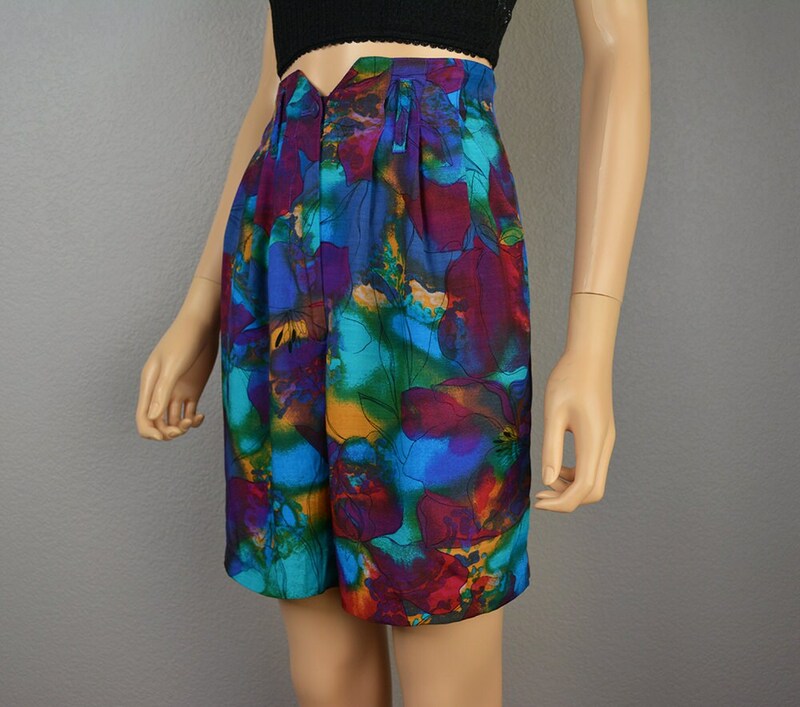 The colors are so vivid and bold in true 80's fashion. 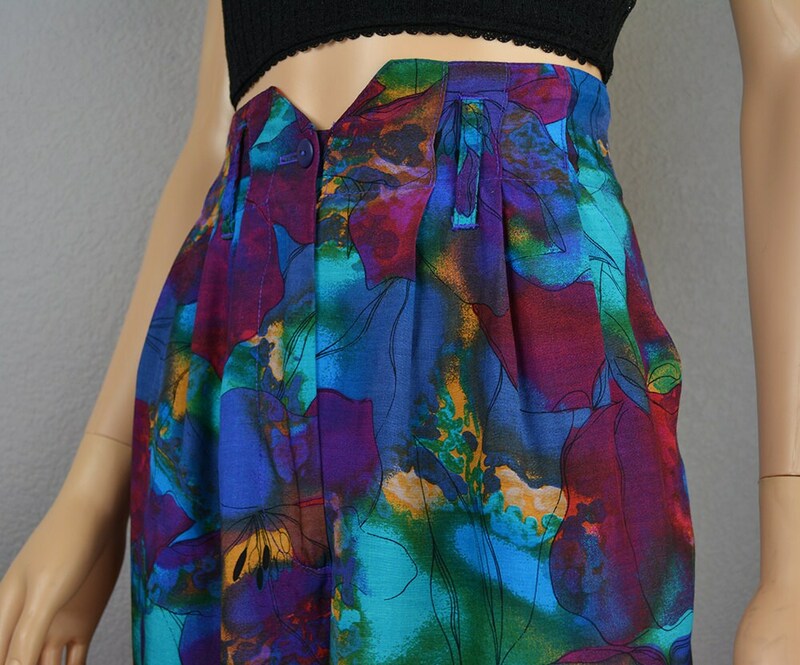 :) They have side pockets in the front and belt loops in case you want to top the look off with a belt. These would look so perfect with a cute crop top.